This post has been sponsored by Gateshead Alive. 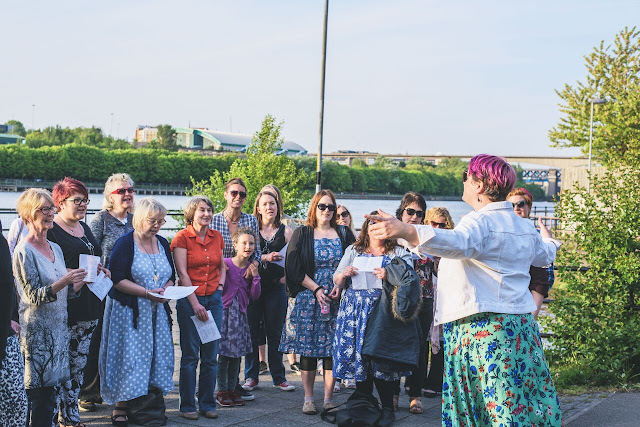 First Person is a unique piece of public performance which is coming to Gateshead Quays next weekend on Saturday 4 and Sunday 5 August as part of Great Exhibition of the North in NewcastleGateshead - a free, summer-long celebration of the North’s pioneering spirit. Outdoor theatre is often all about bringing original, exciting and different theatre, to an unexpected place. I love drama and theatre whether it is indoors or outdoors and the quirkier and more unexpected it is the better. 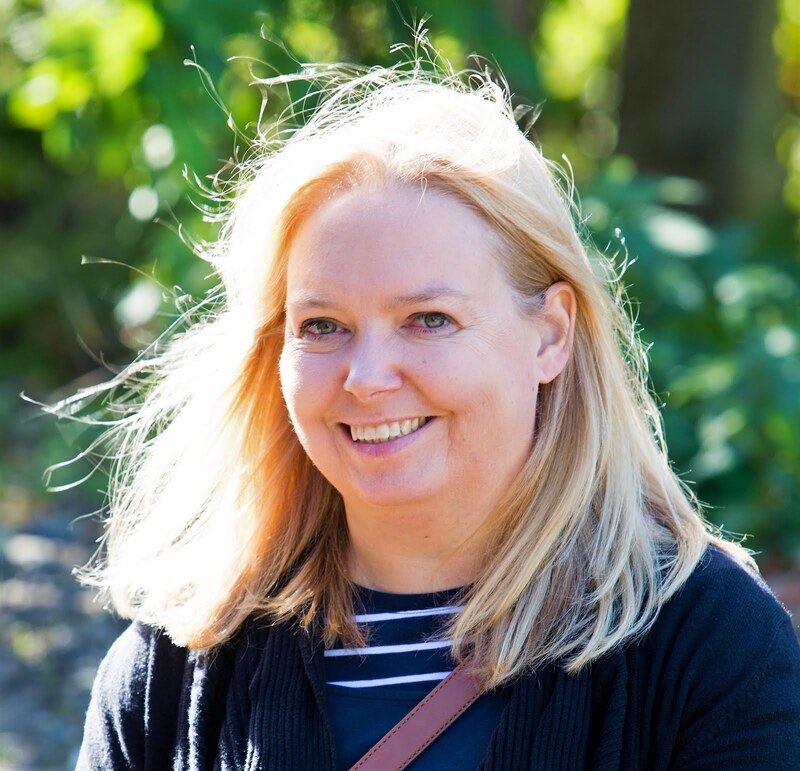 The summer we’ve been having has been a great opportunity to see some outdoor theatre on all scales – so far we’ve seen Kynren and Out There and next, it will be 'First Person'. 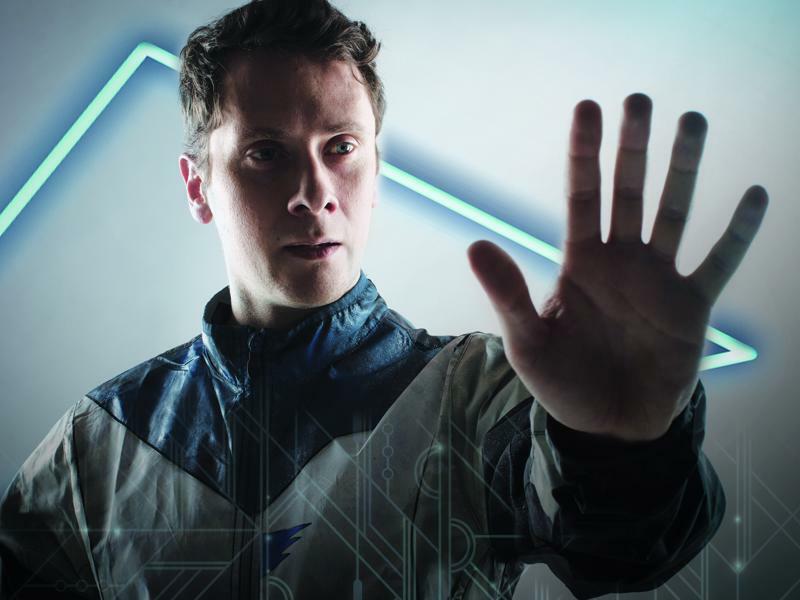 'First Person' by Zest Theatre is a quirky fusion of fast-paced narrative, video game influencers, physical theatre and silent disco technology. It is a virtual reality inspired street theatre show experienced through silent disco-esque headphones. In it, two players enter the labyrinth of a virtual world and compete for the ultimate prize: happiness. The First Person to complete the game and find happiness is the winner! Specially made for public spaces simply grab your headphones, predict your winner and cheer them on to the finish line. It is an outdoor performance where the story depicts the tale of two players who enter a virtual world and compete for the ultimate prize, happiness, and all they need to do is follow the voice of the unseen guide to the finish. But of course, it isn’t that simple. It’s kind of like a real-life version of Ready Player One in Gateshead! Where can I see First Person? When can I see First Person? What time will First Person be performed? How long does First Person last? It is suitable for all ages however it has been developed for an 11+ audience but there is something for everyone in it. It's outdoors, does that make it different? The show has been created especially for public spaces, it moves around so make sure you are wearing comfy shoes. 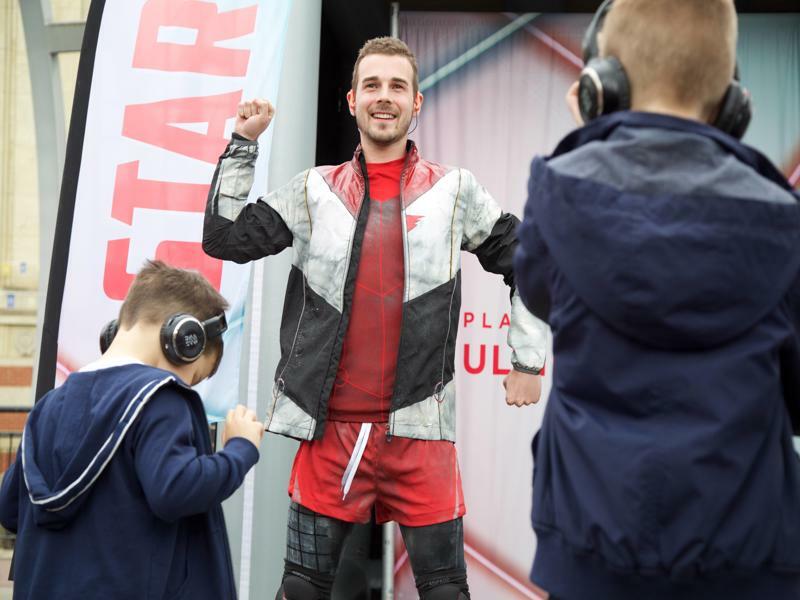 Audiences are encouraged to wear headphones which will allow them to become a spectator in the first person competition, hearing extra things that those without can’t, and getting the chance to influence what is happening in the storyline. Does the audience have to participate? This show is all about listening in and entering a new virtual world. 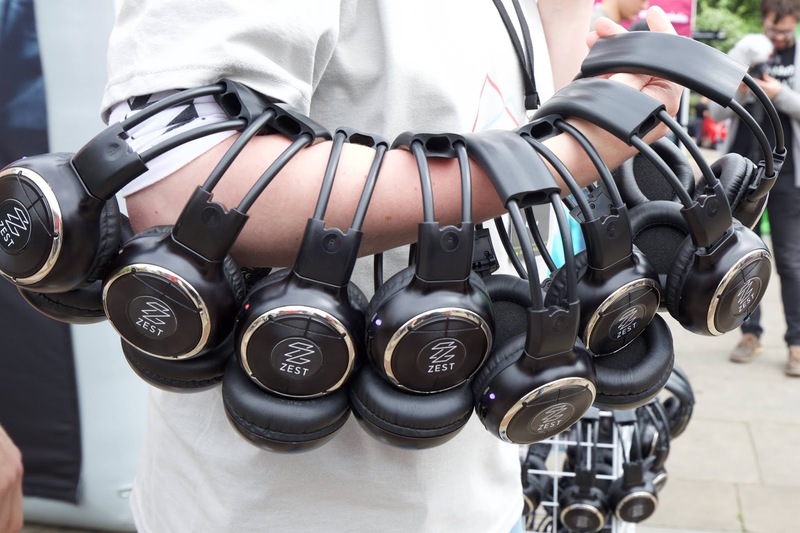 By getting a pair of headphones you link into the show, you become a spectator in the First Person competition, you can hear things others can’t, help the players or thwart them and understand more about what is going on. Even if you don’t want to pop a pair of headphones on – that’s fine too – you can just watch the action unfold in front of you! How much does First Person cost? 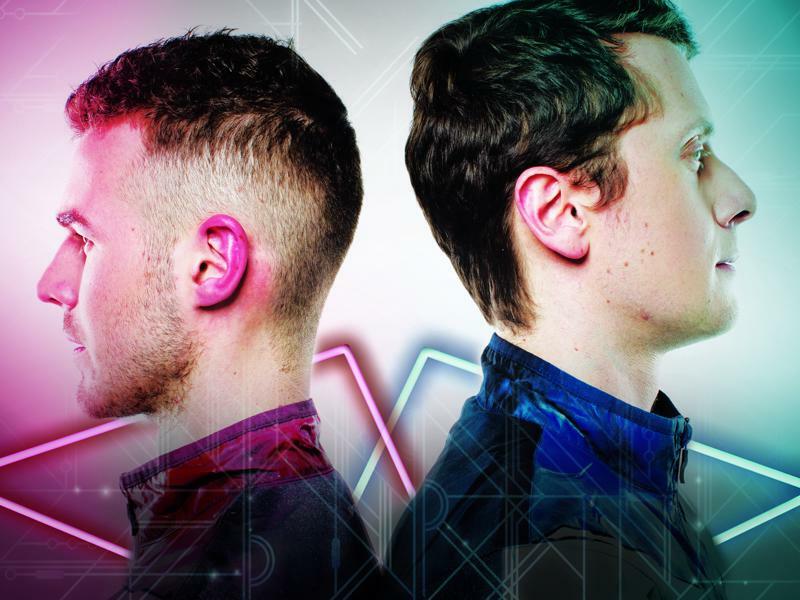 Zest is a national touring theatre company creating eye-opening new work for young people. Established in 2007, they tour to theatres, outdoor spaces and schools with a variety of interactive, immersive, site specific productions. Their work places audiences right at the centre of the action and creative process. Why is First Person taking place? 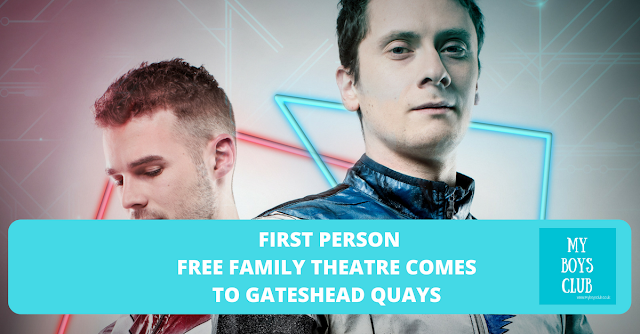 What else is happening on Gateshead Quays in August? Performance Square is set to come alive with the sound of music – drop in across the weekend for a variety of pop up community and professional choirs as they share their repertoire, sing some of their favourite songs and of course, there will be opportunities for you to join in too. Expect the likes of Rock Choir Newcastle, Low Fell Community Choir & Beccy Owen’s Pop Up Choirs. You can drop in – enjoy the singing and join in too! The organisers of Staiths and Low Fell Food market bring the first Baltic Square artisan food and drink market. Expect the regions very best produce, world street food, handmade drinks, fresh flowers and plants, our new 'bike shed bar' and a selection of non-food stalls such as local pottery, high quality crafts, vinyl, furniture and more. A live cook walk about theatre show; cooking ‘Al Tesco’! 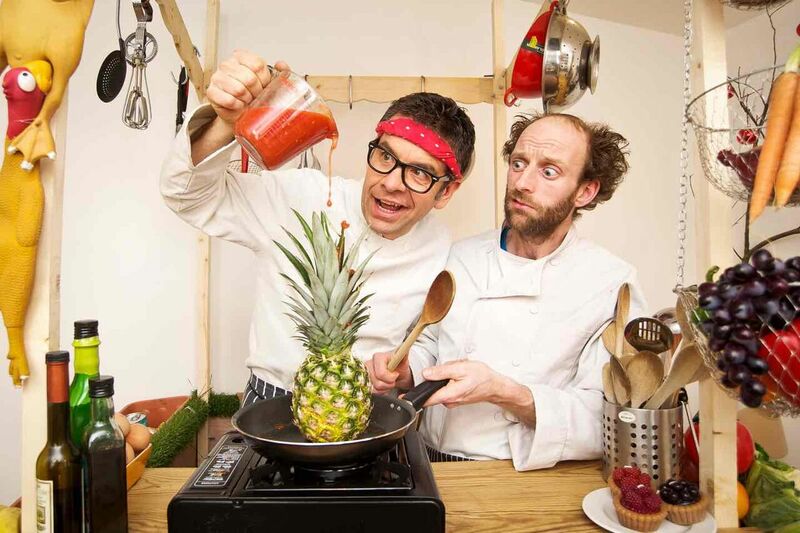 The comedy chefs Hugh Fearn and Lee Whittingstall present a cookery demonstration like no other- a fusion food on the move blending home grown ingredients with food foraged from the corner shop, the streets and of course the audience. Their signature dish “Pan fried pizza crusts with medallions of air dried chewing gum” has been hailed by the critics as “ground-breaking”, “audacious” and “chewy”. Strawberries - Cream - Action! Britain's top 'miniature, outdoor, comedy tennis show' has just gone mobile. 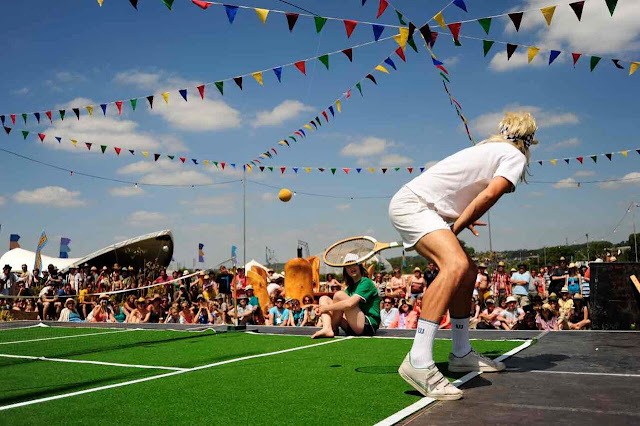 Pulling the court, scoreboard and posh umpire behind him, our highly-strung tennis player searches for worthy opponents. The ensuing comedy matches features everything about tennis that we love the best ... painful injuries, temper tantrums, and of course slow-motion replays. 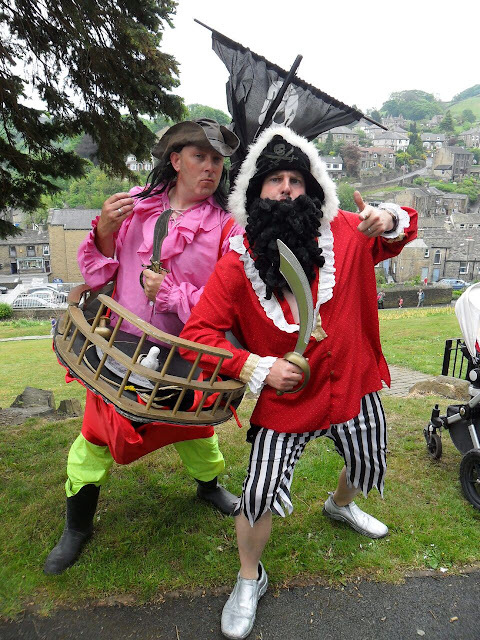 Join us across the bank holiday weekend with Bread and Butter Theatre for some hilarious street theatres – you’ll meet some interesting characters! 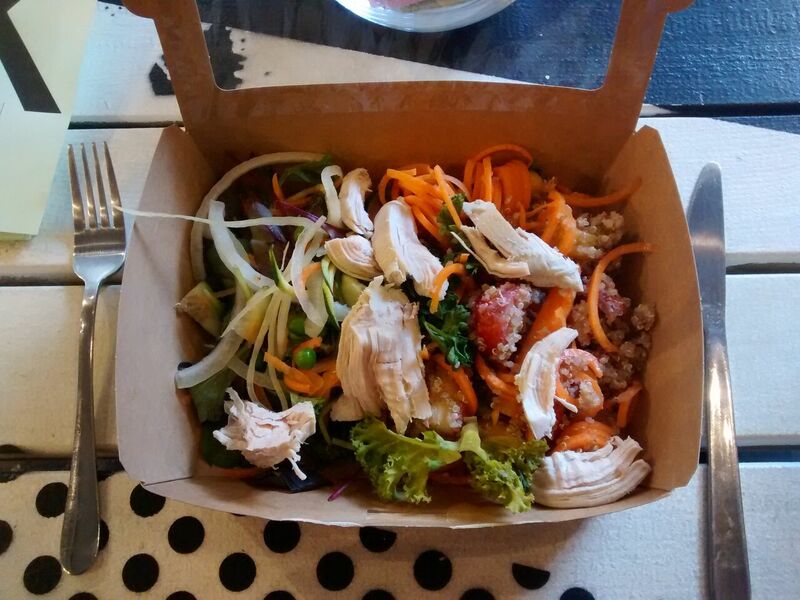 Free – just turn up at chosen performance times. Do you have Saturday Night Fever in your bones? So does Vince Vinyl! 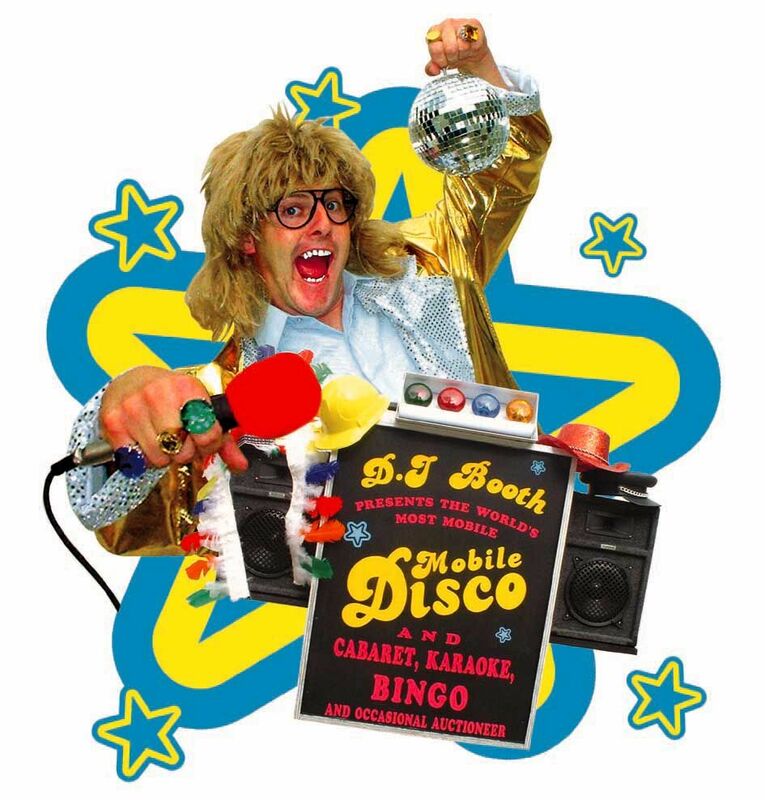 Come on down for his “Wheels of Steel” mobile disco and cabaret; one big glitzy ball of music, mullets and bingo-calling. If it is vol-au-vents, cheesy music and a George Michael slow dance number that you’re yearning for, well Vince is your man. 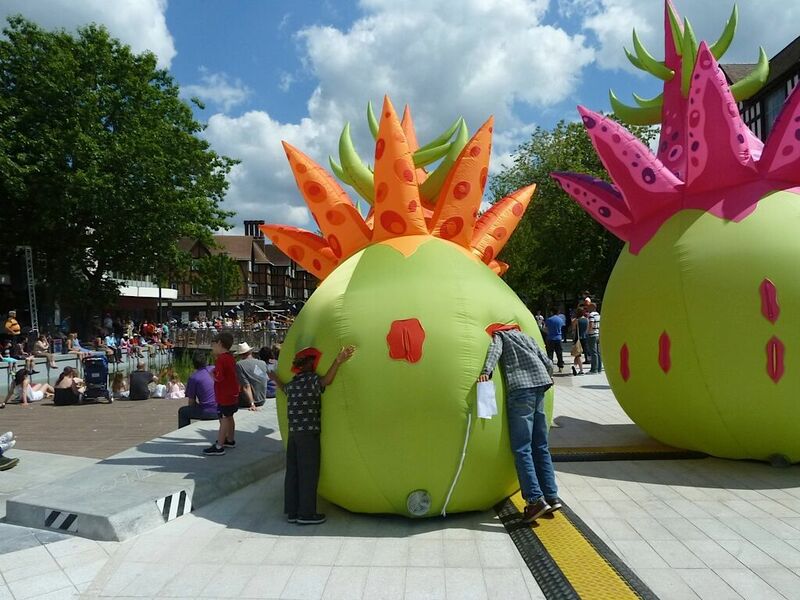 Drop by Performance Square today and you will see two huge topiary bushes nestled in gigantic terracotta pots – this is horticulture on a grand scale. The mischievous Gilbert and Norbert, two naughty garden fairies are waiting to solve your gardening problems and chat to your minis! Jump on board, raise the flat, we are all at sea on Gateshead Quay! Two dashing, bearded, sea shanty-singing pirates are lurking around Performance Square to recruit new shipmates by wooing the crowds from aboard their barnacled covered ship. An interactive inflatable Garden comes to Gateshead – walk through giant vibrant inflatable plants, meet a few ladybirds, watch the flowers grow and take a peek inside a few crazy creations. 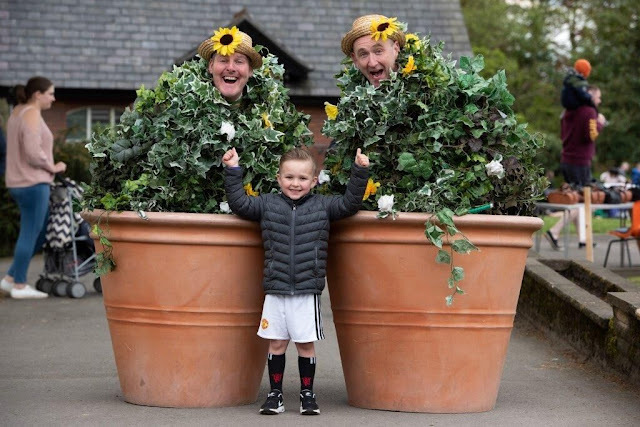 Garden themed street theatre including Bell and Bullock’s ‘No Flies on UZZZ’ and Fairly Famous Family ‘Strolling Gardeners’ will be performing to make you giggle in the garden. Free – just drop in. Disclosure: This post has been sponsored by Gateshead Alive who have also supplied the images.